hd00:41The girl in the salon makes a haircut. Barber makes curly hair for woman by hot curling, woman in the beauty studio, beauty and fashion business. hd00:20Woman professional hairdresser for dogs dresses an elastic band on the dog's head making tails. 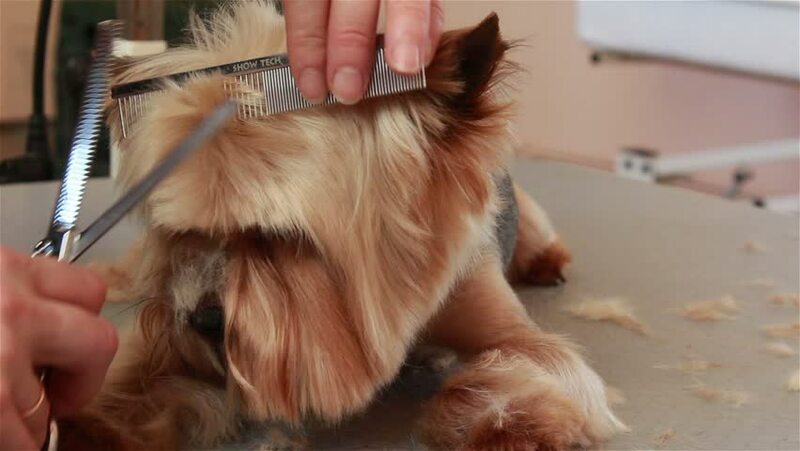 hd00:09professional haircut dog Yorkshire Terrier in the grooming salon.